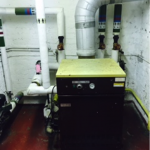 Destiny Church in Glasgow has received the Church Heating Specialist treatment, with a complete overhaul. A sophisticated system was required to control three zones, including the main church hall and a cafeteria. Having suffered with heating problems for years, the church finally managed to secure the funding required. HeatinGlobal stepped up to the challenge, and designed and installed a state of the art underfloor heating system. 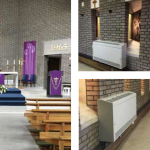 Fitted in record time, and meeting all of the specifications laid out by the church, the system provides consistent and efficient heat. Because the church is a working church, and is open most days, the work had to be completed on time, and on budget. But because the church heating specialists are used to working to tight deadlines, it wasn’t a problem. 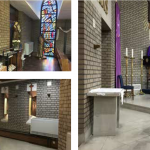 Completed in just three weeks, the heating system caused minimal disturbance to the congregation. Milton Community Partnership on £10,000 FREE Church Boiler Giveaway!